Natural Resource Management students measure spring run-off in the high country. Communications professor teaches in a CMC Leadville classroom. Ski Area Operations instructor and a student inspect a snow groomer. Winter photo of the Mountainview Residence Hall on the Leadville campus. A Colorado Mountain College student streches with a yoga pose on Mt. Kilimanjaro. It doesn't get more "Colorado" than Leadville. This is the place to forget the complications of city life and embrace open space and miles of opportunity.  At Colorado Mountain College Leadville, you don't have to choose between your education and the call of the wild. Our programs are designed to enhance the Colorado mountain lifestyle. Catch sunrise over the Sawatch Range from your room in the Mountain View Residence Hall, explore miles of campus trails, or plot your next expedition. Enjoy the benefits of living on-campus with a tight community of friends. CMC Leadville provides amenities like access to a lending library of four-season outdoor gear, indoor climbing wall, backyard terrain park, and an 18-hole disc golf course through the pines. Get inspired at one of the most beautiful mountain campuses in the nation. Your adventure is waiting. Transfer-friendly pathways with affordable credits. Over 40 degrees & certificate options to choose from. Home to the world-famous Leadville Race Series: Leadville 100 MTB & Trail Run. Read the Salida Feasibility Study accepted by the CMC Board of Trustees. Created by CMC Isaacson School multimedia students. "Near 10,200 feet high in Colorado, this campus aims to produce the ski industry's best"
Learn about the off-campus housing options in Leadville and surrounding area. The CMC Cross Country Team competes in the National Junior College Athletic Association. Based at CMC Leadville, students at other campuses can also participate. Check Leadville's current Weather and Webcam! Efforts by the CMC Leadville's Green Team include zero-waste graduation events, LED lights, water fill stations, an Electric Vehicle (EV) charging station, on-going recycling including e-waste and many other efforts. Efforts by the CMC Leadville's Green Team include zero-waste graduation events, LED lights, water fill stations throughout campus, an Electric Vehicle (EV) charging station, on-going recycling including e-waste and many other efforts. Tight scheduling of building and classroom use has reduced energy use substantially by setting thermostats to correspond with actual room usage. On campus solar farm provides electricity to New Discovery Academic Center.